If you’ve ever gone to a health food cafe or supermarket, the exorbitant price of salads and açaí bowls (seriously, $16 for purple soup, are you for real?) has probably hit you hard in the face and the pocket. While healthy eating out can be expensive, that’s not to say healthy eating is impossible or that it can’t be cheap. 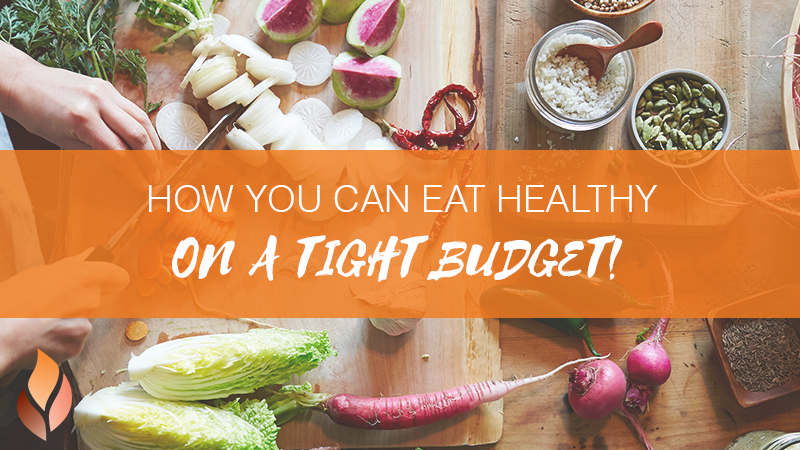 If you’re savvy and use these tips, healthy eating is low cost, easy and has far-reaching, long-term health benefits. “You can’t put a price on good health,” accredited practising dietitian and sports dietitian, Chloe McLeod, told The Huffington Post Australia. “From my perspective, if you’re healthy then that’s going to save on costs on many other things. “You need to look at it holistically. For example, you can buy burgers for two dollars so, yes, you could argue that it’s cheaper in the short term to eat less healthy options. However, if you’re living off two dollar burgers it’s pretty likely you’re going to develop some health issues down the track — if you haven’t already — which are then going to cost you money to treat.”If you do often eat out and buy already-made healthy food, it can be more expensive. However, if you shop smart and prepare your own meals, healthy eating is as cheap as chips in the 90s.“Healthy eating doesn’t actually have to be expensive. It’s about making healthy choices and being budget conscious, as well,” McLeod said.If you’re keen to eat more healthily (and not spend a fortune), try these easy tips. Organic produce and grass-fed beef is expensive, there’s no doubt about it. But you don’t necessarily need these to eat healthy. Opt for plant-based foods such as fruit, veggies, whole grains and legumes, and save bulk cashola.”Plant based foods are going to be cheap. Dried or canned legumes such as chickpeas, lentils and kidney beans are really low cost, so include more of those in your diet,” McLeod said. Meal prepping for the week or day ahead can save you time and money, as well as ensure you have well portioned, nutritious meals and snacks at the ready, helping you avoid the need to reach for junk food throughout the day.”Plan your meals ahead of time so you have a shopping list you can shop from and you’re not chucking extra things in the trolley,” McLeod said. Generally, the larger the quantity, the cheaper a food is. Buying grains, legumes, nuts and seeds in bulk saves you money as well as packaging, so you’re helping the earth too. Double plus.”Buy in bulk. If you don’t have the space for that, you could go shopping with your friends and split up the bulk foods between yourselves. You’ve all saved money and you don’t have to worry about storing it. There’s always a way around it,” McLeod said. Ever shopped on an empty stomach and ended up with a trolley full of milk chocolate and Fruit Loops? You’re not alone. Research shows going food shopping when hungry means you are more likely to buy calorie-dense junk foods.”Avoid shopping when you’re hungry. It’s the worst! It always ends in: “where did that come from?” McLeod said.To help get you started, here’s a simple, healthy shopping list on a budget.